The real power of SEO first comes from a clear understanding of what your target audience is searching for. Keyword Research. This is the starting point of any worthwhile SEO campaign. after you have uncovered the keywords that your audience is looking for and have a clear description of the terminology that they are using you will be much more effective in your targeting efforts to rank your URLs with authority in search and convert your site visitors at a higher rate into customers. Imagine if you had an ecommerce site that sold phones. You will most likely not want to optimize for the word 'phones'. Does that seem counterintuitive? Maybe but if you think about it logically when someone Googles only the word 'phones' it is a very broad term and therefore is a weak signal of purchasing intent. It could be that the person doing the search is looking for images of watches or maybe looking for more generalized information on the topic. However, if you optimize your website for a longer term such as 'buy watches online' the visitors that arrive at your site will have a more targeted intention for a more narrow phrase like this. Meta tags. The most important once are the Title, Header tags and Description. Title tags show up at the top of the browser window rather than within the page's copy and are the first line that searchers see when organic search results appear. It is very crucial that you use descriptive language in support of your targeted keywords here. You'll also want to consider putting in the name of your company. Since Google's Penguin and Panda updates in 2012, branding has become more important especially when attempting to rank a site organically. The Description tag is also similar to your elevator pitch. It shouldn't be longer than about 150 characters - that's about the limit of what most search engines will allow for display in the SERPs (search engine results pages). Header tags are also key. They are used on your various pages to better organize your content into sections. The name of each of your site pages is converted to an H1 tag within a CMS (Content Management System) such as Joomla, WordPress or Drupal. This should be your broadest statement describing the content that is to follow. You can think of it just like the name of a chapter of a book. Each chapter has successive paragraphs in important order. Your website's pages should be designed in the same way with Header tags (H1... H6) grouping the content into appropriate categories. This helps not only visitors get a more meaningful understanding of your page's content but it allows search engines to better understand the content of your site and gauge its value. Internal linking is also key for performing well in search. Organizing your internal links structure that enables both human visitors and the search bots to access information related to any topic on your site shouldn't be overlooked. Making some changes only to the way your site links to all of its internal content has been shown to improve ranking results all by itself. This can also help to lower your bounce rate, improve the time spent on your site and increase the number of page views per visitor. Off page SEO. 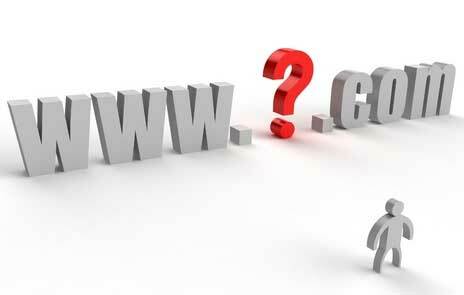 This refers to back links from other domains that are linking to your Domain. When Google first appeared, it was much easier to rank a site strongly for keywords since all it took was building hundreds or even thousands of links to your website. If these linking sites were seen as lower in quality it really didn't matter as much since, at the time, the quantity seemed to matter more than quality. In more recent years Google has begun to evaluate the quality of the sites that your inbound links are coming from and when they identify many low quality links you can actually receive some penalties for them. So you need to be diligent about your inbound linking strategy. Many SEO experts still agree that building of quality back links is preferred to much of the on-site work that you can do optimize a webpage but today you need to be paying for more attention to the quality and relevance of these links.